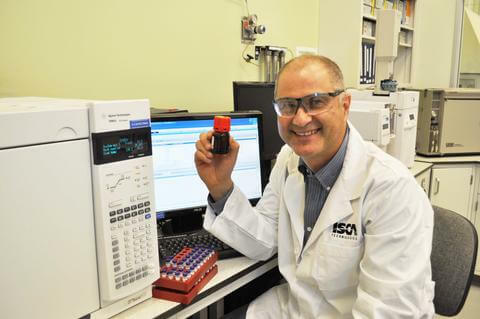 ISCA Technologies announced today that Agenor Mafra-Neto’s ground breaking research on the development of a human-scented Trojan cow technology has been awarded a Bill & Melinda Gates Foundation’s Grand Challenges Explorations grant. Dr. Mafra-Neto’s team is developing an inexpensive, long lasting, ‘cologne’ that would alter the scent of livestock to mimic humans’. The ersatz odor will divert disease-carrying insects like mosquitoes from people to animals that have been pre-treated to resist infection. At the same time, blood-seeking insects that typically target animals will be confused or repelled by the altered odors emanating from the treated animal hosts. If successful, both human and animal insect-vectored cycles of disease will become irreversibly disrupted. The global health and development research project, is titled Abate: Attract and kill of dipteran malaria vectors using human-scented “Trojan cows”. Grand Challenges Explorations (GCE) funds individuals worldwide to explore ideas that can break the mold in how we solve persistent global health and development challenges. Dr. Mafra-Neto’s project is one of over 50 Grand Challenges Explorations Round 12 grants announced today by the Bill & Melinda Gates Foundation. To receive funding, Agenor Mafra-Netoand other Grand Challenges Explorations Round 12 winners demonstrated in a two-page online application a bold idea in one of five critical global health and development topic areas that included agriculture development, behavior change and looking into animal and human health. Applications for the next Round will be accepted starting September 2014. 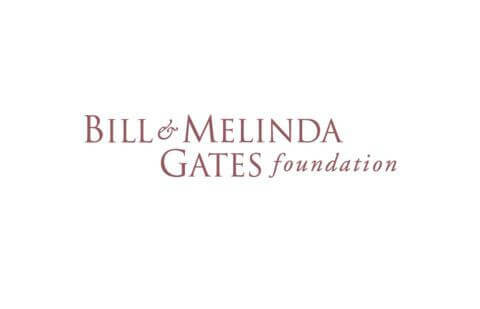 Through the generosity of the Bill & Melinda Gates Foundation, ISCA Technologies will continue their cutting edge research to combat insect-transmitted diseases in impoverished regions around the world. Their concentration will focus on revolutionary methods to better control malaria, which affects nearly 200 million people every year. A recent success in malaria control has been the intervention of insecticides and bed-nets which has allowed for a reduction of indoor transmission rates of this vector-borne disease. 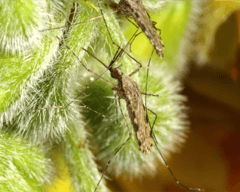 However, in order to significantly decrease the population size of insect vectors, it is currently imperative to focus on targeting outdoor control methods. ISCA Technologies’ proposed strategy will fill an important gap in malaria control programs using an innovative formulation called Abate. Abate will harness commonalities between human and animal physiology to create a ground-breaking solution that disrupts the host seeking behavior of blood sucking insects. The formulation developed by ISCA Technologies’ ingeniously integrates a mosquito attractant with a bovine deworming medication. Abate will operate by luring anthropophilic (primarily human biting) insects of disease to feed on livestock treated with the product. A single blood meal tainted with a typical veterinary dose of antihelmintics kills blood-sucking insects. Treated animals become veritable “attract and kill” systems that reduce the population size of anthropophilic insect vectors of human disease. Mosquitoes and flies will feed on Abate-treated animal hosts due to their artificial (human-like) odor profile. When paired with deworming agents, Abate will disrupt the cycle of transmission of insect vector diseases, therefore improving the quality of life for humans and livestock. Abate is attempting to reduce the prevalence of helminthic infections and diseases such as Malaria, Lumpy Skin Disease and Leishmania transmitted by mosquitoes, sand flies, black flies and tsetse flies. By luring disease vectors away from humans this formulation will likely improve the lives of millions of humans and animals in malaria affected regions across the globe. The mission of ISCA Technologies is to protect the world from damaging insects and pathogens by developing solutions that are economical, effective and ecologically friendly. One of the ways ISCA Technologies achieves this mission is by developing insect pheromones, semiochemicals and other attractant-based pest management solutions to monitor, to manage and to control insect pests and vectors of diseases. Management and control formulations, such as the proposed ABATE formulation using ISCA’s SPLAT long lasting release technology offer an effective and viable alternative to the frequent misuse and overuse of conventional pesticides: with ISCA’s products only the targeted insect vector-of-disease are affected. This change will contribute to a safer environment for humans and husbandry animals alike, and a more sustainable future.